This is such a tough time to dress for. One day last week was 60 degrees and another day was snowing. 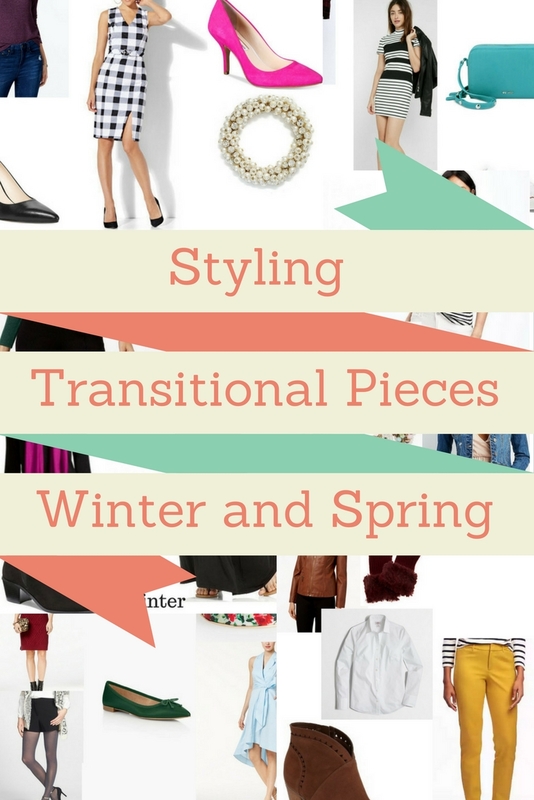 Today I'm styling 5 great transitional pieces for winter and spring. 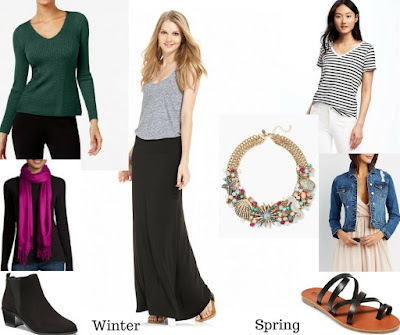 A solid maxi is a great transitional piece because you can put legging or tights under it for extra warmth in the winter but it's still light for spring and summer. A solid color works for any season. For winter, I paired it with a jewel toned sweater, a contrasting scarf (under $10) and ankle boots. For spring, you can go simple with a striped tee (under $10), jean jacket and sandals. I added this cool nautical statement necklace for a little bit of a pop. Bright pants can make your winter wardrobe a lot more fun and they look nice with light colored spring pieces. 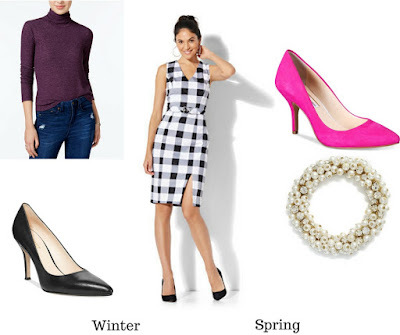 These outfits are good for work and play. 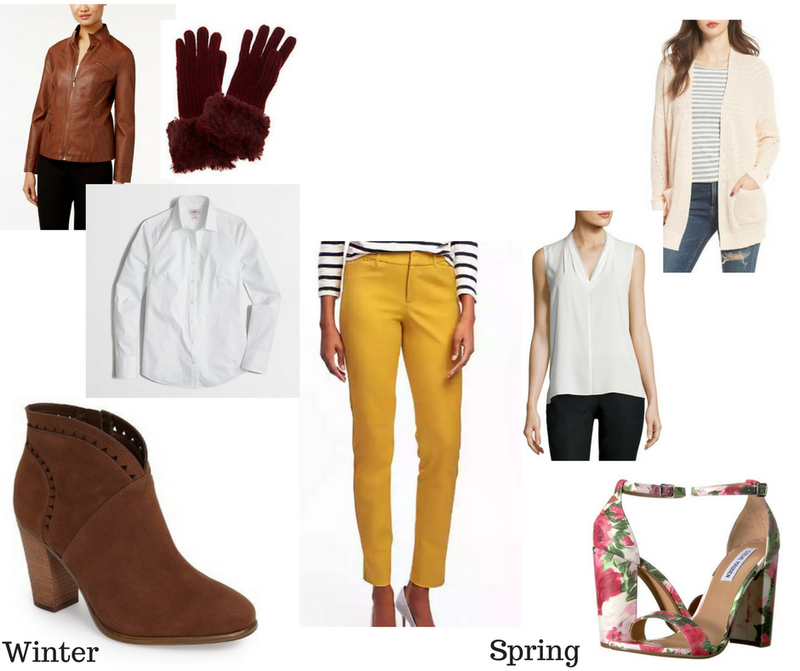 For winter, pair with a white button down, leather jacket, some ankle boots and a pair of fun gloves. In spring these look great with a light sweater, blouse and printed shoes. To me flats are a year round thing but if it's very cold where you live, it's nice to get out of heavy boots. A good jewel tone is great year round. For winter pair with a sweater dress (this one is under $25!) and light tights. 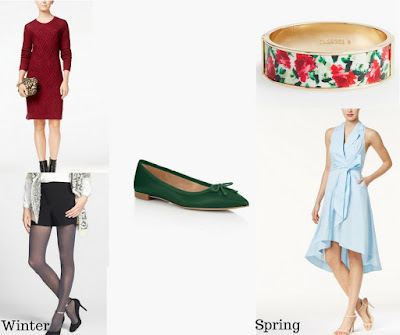 A great spring wedding look is flats, a chambray dress and a statement bracelet. This piece is a little more spring than a year round piece. But sometimes you just need to break out the fun spring clothes. To make it work for the winter layer a turtleneck under and pair with black pumps. For spring add color with bright heels and add a fun pearl bracelet. Stripes are great anytime. I've put together two casual looks. For winter play with print mixing! Add a buffalo plaid jacket and pair with over the knee boots. For a spring walk just add a colorful crossbody bag and white sneakers. Nice post! Thank you for your inspiration! It really is tough to get dressed this time of year! I want to just wear my spring clothes so bad! I love your picks! 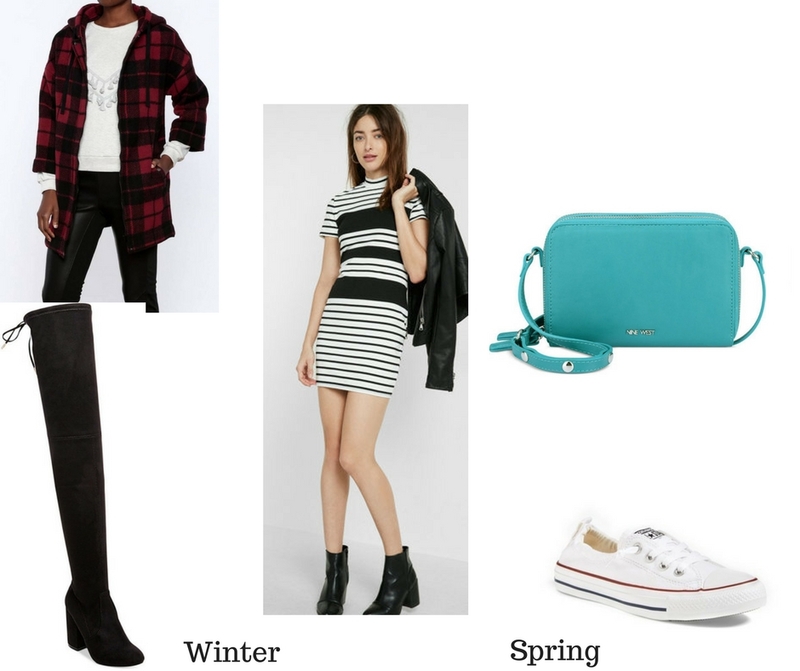 I love wearing flats and stripe in every season too! I recently went here for a party and right from the moment I walked in I was in awe and I can only hope my daddy dearest offers to pay for my wedding here someday! At wedding venues Chicago they took care of every little detail one can think of.